Can you really doodle your way to better writing? Perhaps, if you’re a kinesthetic or visual learner. Students are familiar with their academic interests but often not their learning style strengths and preferences. Learning style refers to how a student might approach an assignment to help them focus on and develop the skills necessary for it. Understanding your learning style preferences can mean the difference between staring at a blank computer screen for hours and actively engaging in the process of writing. My own process of discerning my learning styles started in high school. As a high school student I found it difficult to concentrate shuffling from one class lecture to the next with only group work engaging me. For the most part, my graduate courses consisted of students talking about texts while the professor served more as a background facilitator to discussion. I loved it! It really wasn’t until my graduate course work that I started to feel like an academic superstar; I was engaged in class discussion that led to writing effective papers, conference presentations, and even academic publications. Am I a writing “genius”? Is it just my interest in certain topics? No, and no. I just hit upon one of my learning style preferences and found that I am an interactive learner. Chances are you probably have an idea of how you study best—maybe you like to go to a coffee shop, or maybe that work space would be too distracting. The Institute for Learning Styles Research makes clear that there are several different learning styles, and many people have more than one preferred style. Thus, while having a basic understanding of your preferred work space is important, it’s also important to have a deeper understanding of what works best for you as a writer. You might find using a free online assessment such as that provided by Edutopia helpful for assessing your learning styles in more depth. Now that you’re thinking about how you might learn more effectively, let’s take a look at how three different learning styles might approach the task of prewriting. Remember, these are only suggestions. You'll have to find out what works best for you based on practice, trial, and error. Visual Learner: In the prewriting process, an important step figuring out what your main claims are and the evidence you can use to support your main claim. Since visual learners often learn based on sight they might create Mind maps of their ideas, incorporating color coding and other visuals, rather than use a linear outline. As my colleague Anne Shiell noted in a previous blog post, bubbl.us is a great visual mind mapping tool. Highlighting and or using color-coded index cards to organize ideas are also activities that can be useful. Kinesthetic Learner: Similar to visual learners, kinesthetic learners might draw or doodle to incorporate movement. Since kinesthetic learners benefit from movement, moving around and gesturing—creating physical movement—can help generate prewriting ideas. Auditory Learner: During the prewriting stage, auditory learners might benefit from creating recorded notes to read their ideas out loud then play them back, or similarly use a text to speech converter. During the drafting process, auditory learners might benefit from reading their draft out loud so they can hear their ideas and revise accordingly. For a full list of tools that focus on visual, kinesthetic, and auditory learning tools, I suggest spending some time looking at this website from LearningPath.org. Understanding learning style preferences can help writers engage with the prewriting and drafting stages of their assignment and therefore even serve to cut down on lost time that was otherwise used binge watching Netflix. 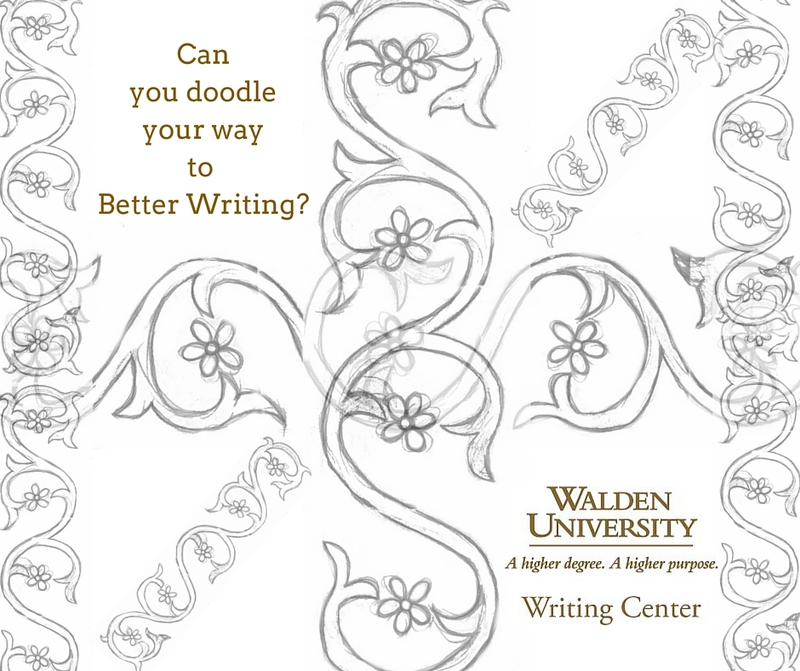 So, grab some snacks, relax, and start exploring the benefits of approaching prewriting and drafting with an understanding of your learning style and let us know in the comments, can you doodle your way to good writing? 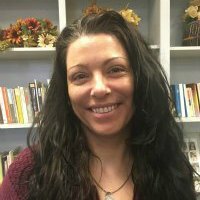 Veronica Oliver is a Writing Instructor in the Walden Writing Center. In her spare time she writes fiction, binge watches Netflix, and occasionally makes it to a 6am Bikram Yoga class. Veronica, What a great post. I think its such a shame when students aren't applying their learning styles to the academic writing process. Like you, I'm not auditory, and assumed for years of lecture classes that I'm not not as smart as others. But once I discovered that I'm visual and that I need built-in think time, learning changes for me too! I hope your post helps PhD students to consider finding creative ways to pre-write and get into their writing mo-jo. Thanks for providing a way to open the discussion with my mentees. Thanks for the insight, Dr. Harland! It is important for students at all phases to remember to tap into their individual strengths and learning styles. It can be so easy to forget that auditory methods aren't the "academic default."